Anodized aluminum frame work with two adjustable feet. Banner attaches by clamp bar on top and double stick tape on the bottom. Graphic material: Flat Hybrid Vinyl. Support pole is NOT adjustable. One year warranty for stand and graphic. 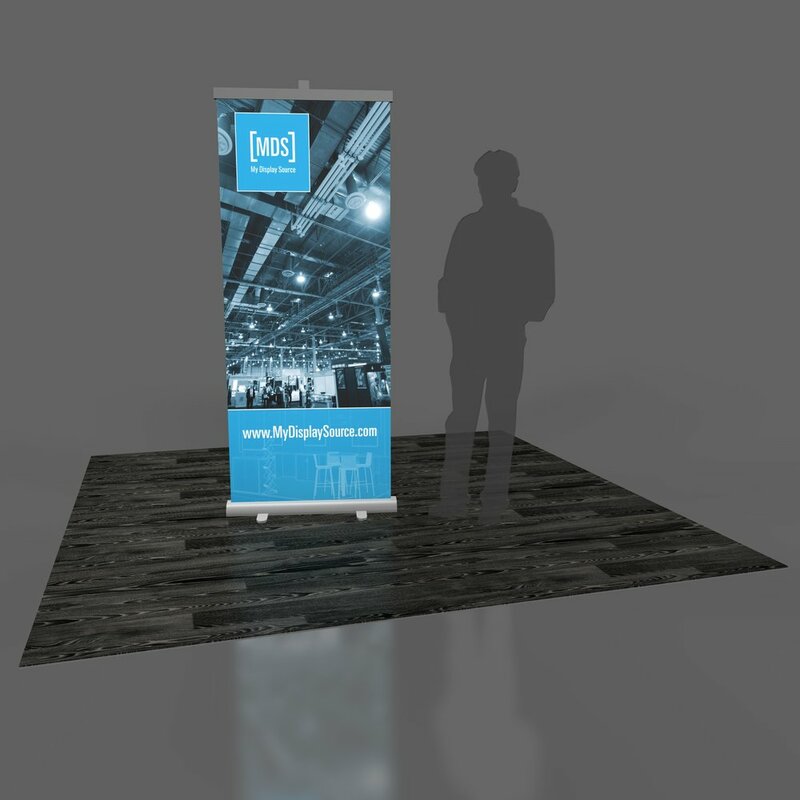 The MDS Banner Stand offer great value for durability and easy of use. They come in three different sizes and available in black or silver finishes with the 33.5 inch graphic size option. The graphic banner attaches by clamp bar on top and double stick tape on the bottom. The banner stand is finished in anodized aluminum and heavy duty plastic end plates.